This personal project was designed and built in just two hours, using Joomla as a framework and a couple of choice extensions. 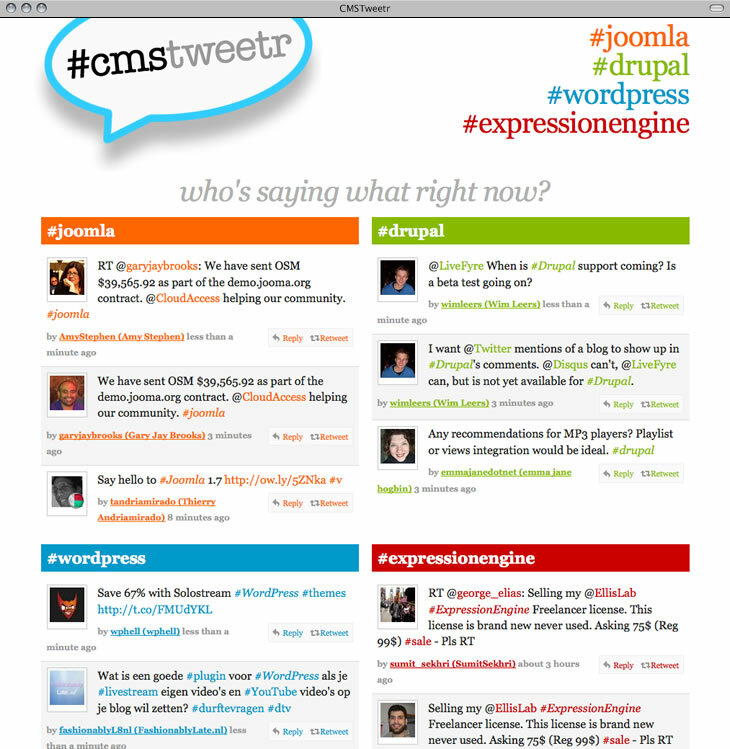 The site simply publishes tweets from users using key hashtags and publishes the tweets to each relevant section. 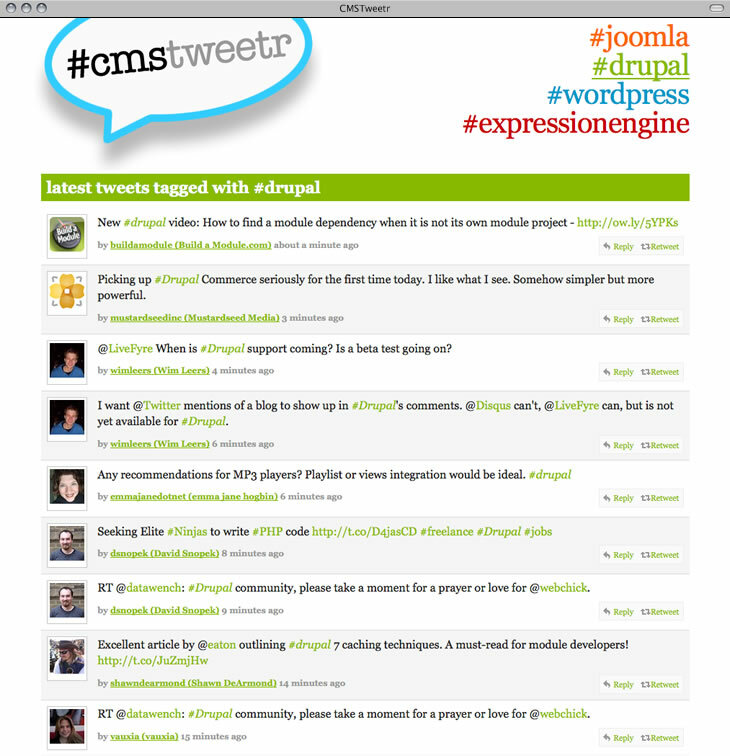 We enhanced the site later by adding reply and retweet functionality. 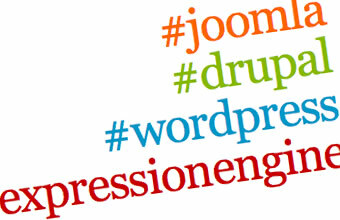 It's a simple concept that shows how quickly ideas can come together using a CMS like Joomla to power them.